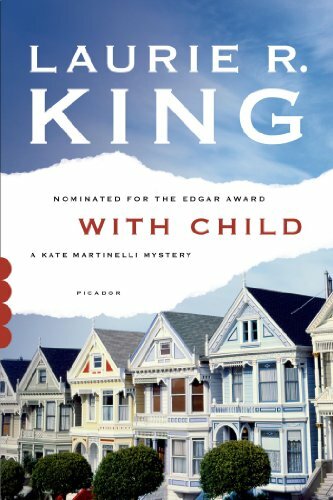 In Laurie R. King's With Child, adrift in mist-shrouded San Francisco mornings and alcohol-fogged nights, homicide detective Kate Martinelli can't escape the void left by her departed lover, who has gone off to rethink their relationship. But when twelve-year-old Jules Cameron comes to Kate for a professional consultation, Kate's not sure she's that desperate for distraction. Jules is worried about her friend Dio, a homeless boy she met in a park. Dio has disappeared without a word of farewell, and Jules wants Kate to find him Reluctant as she is, Kate can't say no--and soon she finds herself forming a friendship with the bright, quirky girl. But the search for Dio will prove to be much more than both bargained for--and it's only the beginning.